A: An independent agent offers personal service that is hard to come by these days. An agent will shop your insurance policies with multiple top rated insurance carriers to find the best coverages at the lowest price. Plus, in the event of a claim, it's nice to hear a familiar voice on the other line who you know will go to bat for you, instead of being introduced to someone you've never met before in a time of crisis. Q: What's the difference between Actual Cash Value and Replacement Cost? A: Let's use an analogy: If your 10-year-old home were like a BMW and it suffered a total loss, an Actual Cash Value policy would replace it with something like a Honda Civic, whereas Replacement Cost would give you a brand new BMW. Actual Cash Value is a form of insurance that pays damages equal to the replacement cost of damaged property minus depreciation. Replacement Cost is insurance that pays the dollar amount needed to replace your damaged property without deducting for depreciation, up to the maximum insurance limit on your policy. A: A resounding Yes! Personal property (except property that is specifically excluded) is typically covered anywhere in the world. So that new iPad or iPod or iWhatever that accidentally got crushed underfoot while running with the bulls in Spain is covered. Heck, even if the Persian rug you purchased while in Turkey get's snagged and unraveled in the airport escalator, you're covered. Even if it hasn't made it to your home yet, its still covered. Q: Does my Homeowners insurance policy cover flood? A: No! No!...and No! Sadly, many people have suffered enormous losses to their personal property because they thought it was included in their Homeowners Policy. Whether you're in a high risk flood zone or not, it's a good idea to have flood insurance. - Floods and Flash Floods can happen anytime and anywhere. - Federal assistance may not be enough to cover damage cause by a flood. - Flood insurance may be more affordable than you think. - Flood insurance isn't just for property owners living along the coast. Recently, even North Georgia and Tennessee saw historic flooding in unlikely places. Q: Doesn't my landlord's insurance cover me? A: No! Your landlord may have coverage that protects the building you live in, but not your belongings. If someone breaks into your apartment and steals your stuff, you're out of luck, Chuck. That is, unless you have renters insurance.? A: A typical renters policy covers only you and relatives that live with you. So unless you're married to your roommate or you carpool to family reunions together, you both need to have your own renters policy. This way, you'll each cover your own property and your own actions (You party animals, you!). A: You fall asleep at the wheel and have a head-on collision with another vehicle injuring several people. It reminds you of the good ol' days when you see all the neighborhood kids play in the oak tree in your front yard (Johnny, look out!). These are situations in which injured parties may sue you for more money than your Auto or Homeowners Insurance covers. A Personal Umbrella policy picks up where your other insurance policy limits leave off. It creates an "umbrella" over all of your other personal liability policies (home, auto, boat, RV, etc.). Q: Should my spouse and I both purchase Life insurance? A: It depends. If you are both working jobs to provide income for your family, yes. In this case, if your spouse dies, assuming you share your income, you would now have to make up for their portion of it in order to maintain your lifestyle. If your spouse stays home with the kids and does not provide monetary income for your family, Life insurance for both of you is still a good idea. If your spouse dies, who will take care of the kids and provide the household services that they used to take care of? Would you need to begin paying for daycare or a nanny so that you can continue to go to work? Even if you do purchase Life insurance for your non-wage-earning spouse, it is critical that you purchase it for yourself in the event of your own death. Q: Are business computers covered on a Commercial Property policy? A: Typically, yes. However, you may want to insure them separately on a computer schedule which provides broader coverage. On a computer schedule, you'll have coverage for things like power surges and loss of data that your Property policy by itself won't cover. A: A Commercial Property policy will pay to repair or rebuild your building after a covered loss occurs, but how will you keep your business afloat while repairs are being made? Rebuilding after a complete loss can take months. That's where Business Interruption coverage comes in. A Business Interruption policy is like short-term disability coverage for your business property. It reimburses you for lost revenues and profits while repairs are being made to your building. And, just because your building is damaged, doesn't mean you're allowed to stop paying your bills. That's why Business Interruption also pays for your continuing expenses. Q: Does Business Auto insurance cover my employees while driving their own cars on the job? A: Not automatically. Ask your agent to include Hired & Non-Owned coverage on your Commercial Auto policy. This will provide your business with auto liability coverage for vehicles it does not own but that your employees use in the course of business. So, your outside sales team and the person who drives to pick up the mail every day will have liability coverage in the event of an accident. Hired vehicles, or rental cars will also be covered as part of the Hired & Non-Owned auto liability. Q: If Workers Compensation premium is based on annual payroll estimates, what happens if my best guess is wrong? A: In the course of a year, it's natural for businesses to hire or terminate employees, as well as adjust existing staff salaries. That's why Workers Compensation policies are subject to a final audit at the end of the year to adjust for payroll changes. So, if you overestimate your payroll at the beginning of your policy term, you could get money back from your insurance carrier sometime after your policy's renewal date. On the other hand, if you underestimate payroll at the beginning, you'll owe extra premium after your final audit determines that your payrolls increased. Some new business owners think they'll save money on their Workers Compensation policy by intentionally underestimating their payrolls at the beginning of their policy term. If their agent didn't discuss the audit process with them, they are typically in for a shock when they have to pony up the extra premium after their policy's renewal. With Workers Compensation, it's either pay now or pay later. Don't be fooled that there isn't a later waiting down the road!? Q: Aren't my professional services covered under my General Liability policy? A: No! 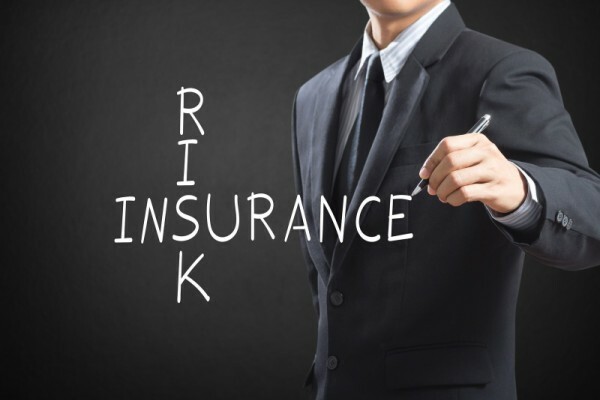 Professional Liability, sometimes called Errors & Ommissions insurance (E&O), covers the mistakes your company is accused of making in relation to the services you provide. A printing company fails to complete an order of programs in time for opening night at the local theater. An architect's miscalculation causes his clients to pay their builder extra money in order to start over on the front staircase of their new luxury home. A website development company misrepresents what they're capable of producing in order to land a big client, only to find themselves taking shortcuts and delivering an inferior product. If you provide services for clients on a fee basis, you have a Professional Liability exposure that needs to be covered.